Discover the stabilized Aloe gel, the flagship products of the brand. Stabilized Aloe gel is the best selling product of the brand Forever Living . It is among a wide range of high quality products. The stabilized Aloe gel is also the first product of the brand to have received the prestigious label of IASC or International Aloe Science Council of the Aloe Vera . Stabilized aloe gel is known for its multiple virtues that help to provide and maintain optimal well-being in everyday life. 99.7% stabilized Aloe Vera gel, to maintain the qualities of the raw plant, with a bioavailability of vitamins increased by 300%. Forever Stabilized Aloe Pulp is the first product in the world to be awarded by the prestigious IASC label. The TetraPak packaging used is made of 6 layers that ensure total opacity, protecting the gel from the harmful effects of light, and it is 100% recyclable. For everyone, Aloe Vera gel is one of the “basics of well-being”. It is the product to use daily to maintain optimal well-being. It contains over a hundred components including twenty minerals, enzymes, vitamins of all kinds, mucopolysaccharides, but also more than sixty nutrients that act in different ways on the body. The Aloe Vera Gel plays several important roles: regenerator, regulator, healing, moisturizing, and toning. 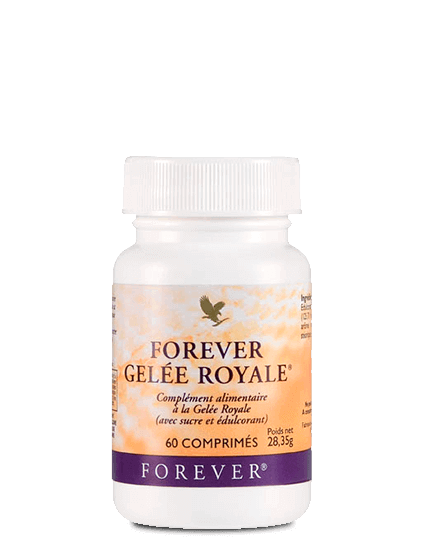 Small daily intake of Forever Cold Stabilized Aloe Gel will also stimulate immune defenses. The powerful antioxidants that are present will help prevent some diseases while maintaining a good metabolism. It will further promote the evacuation of toxins to preserve a healthy organism. Thanks to its different components (vitamins, amino acids, trace elements, minerals), the stabilized aloe gel has exceptional nutritional properties which not only make it possible to avoid possible deficiencies, but also to rebalance the body while making it more resistant. In addition, the enzymes that compose it offer important digestive qualities including anti-ulcerative. Once daily and at the indicated doses of Stabilized Aloe Gel , there is no risk of side effects or contraindications. It can also be associated with any other method of medication. The new stabilization process of Forever Stabilized Aloe Gel keeps all the virtues of this extraordinary plant without any preservatives. The packaging consists of 6 completely opaque layers and is 100% recyclable. It helps to strengthen the natural defenses against micro-organisms and strengthens the immune system. The aloe vera gel of Forever brings a real well-being to the daily life by fighting against the effects of fatigue. Forever’s aloe gel is cold stabilized which guarantees a very high antioxidant content. Aloe pulp is known to be 5 times more moisturizing than water because of its wealth of bio-available miners. The gel of aloe vera is “the” plant of the intestine, it participates in a better digestion and is regenerating for the tissues of the intestine. Stabilized Aloe Gel contains many metabolites (vitamin B3, sodium, amylase) that actively participate in metabolism. 30 to 40 ml, 3 times a day on an empty stomach, 90 to 120 ml in the morning on an empty stomach, you can dilute it in water or fruit juice if you do not like the taste. Shake lightly before serving. Available in pack of 3 and 6 bottles. Royal jelly combined with aloe vera gel will help you get ready for the winter! 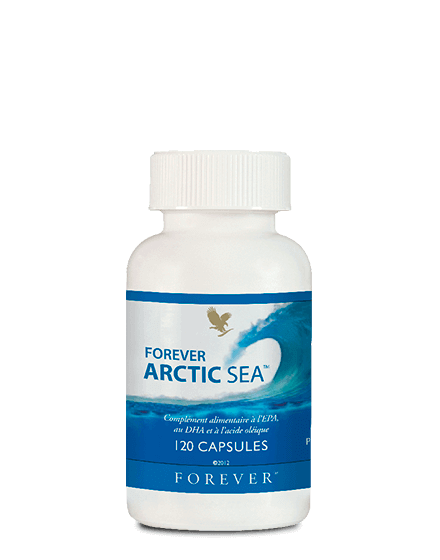 A rich source of omega 3, Forever Arctic Sea in combination with aloe vera gel will effectively support your cardiovascular function. Because it is you who speak it best! 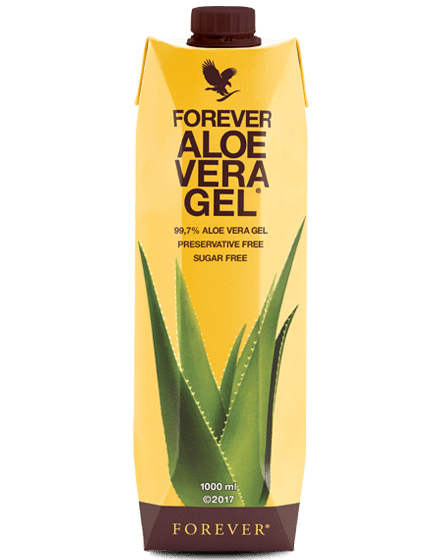 How much Forever Stabilized Aloe Vera Gel should I drink? It all depends on why you are drinking aloe vera gel. Some people take a small amount between 40 and 60 ml per day to maintain their general well-being. Others use it for specific purposes, in case of illness or chemotherapy and the doses can vary from 100 to 200 ml per day. The doses recommended by Forever Living are 90 ml per day for an adult and 1 ml / kilo day for a child. Of course you can exceed these doses without risk of side effects. Can I mix Stabilized Aloe Vera Gel with something else if I do not like the taste? Of course, you can mix Aloe Vera Gel with fruit juice, honey, water or Pomesteen Power, so you can mask the slightly bitter taste. But you will see that after a while you get used to the taste and will not have any problem to drink it pur. When is the best time to drink Aloe Vera gel? The ideal way is to drink your aloe vera gel in the morning on an empty stomach in one take. But you can also take it in 3 times, the important thing is to take it on an empty stomach and wait at least 5 minutes before drinking a hot drink to not alter the raw quality of the plant. How long after will I feel the effects of Forever Aloe Vera Gel? There is no rule, that varies from one person to an other. In general, most people experience positive effects at the beginning of the third bottle (between 3 and 4 weeks with a dose of 90 ml per day) but there are people who see an improvement after the first week and others not before 3 months. It all depends on the poisoning of your body and it’s level of tone. How to store Aloe Vera gel ? If the bottle has not been opened, you can keep it about 2 years out of the fridge in a cool and dry place without problem. On the other hand, once opened, the bottle must be stored in the refrigerator and consumed within 2 months. Can children drink Aloe Vera Gel ? Yes and it’s even advisable. As for doses, from age 12 you can give them the same amount of aloe vera gel as an adult. For 6-12 years half and for under 6 years we recommend the equivalent of 1ml per kilo of the child per day. Is it the same patented process used? The patented gel stabilization process is no longer used. – Aseptic process = from production to bottling, all the steps are performed under aseptic conditions, that is to say in a place where all microorganisms have been destroyed. Therefore, on the one hand the Aloe vera gel is flash-pasteurized, and on the other hand the environment and the bottling equipment are sterilized. TetraPak is also aseptic and the filling is done under vacuum. So all the conditions are right for production and packaging to take place in an environment without microorganisms. – pH stabilized = the pH of the Aloe vera gel is modified to be as close as possible to that of the fresh plant. The pH adjustment is done with citric acid, a molecule found naturally in lemons. – Antioxidant = the antioxidant molecules prevent the oxidation of products, causing a loss of quality and nutritional value. The antioxidant molecule used in the formula of the new Aloe vera pulp is vitamin C, which not only protects the product in which it is introduced, but also has the advantage of having many benefits for the body (reduction tiredness, proper functioning of the immune system …). It is therefore the combination of the three points mentioned above which makes it possible not to use preservatives in the new formula of the pulp. What is flash pasteurization? Does it affect the quality / preservation of Aloe Vera nutrients? Flash pasteurization is a preservation process that preserves the nutritional value of a liquid without distorting its taste. During flash pasteurization, the product is heated for a few seconds and then cooled just as quickly. Thus microorganisms are destroyed. Thanks to an extremely short heat treatment time, the nutritional value is not impaired: vitamins and minerals are preserved. This process is milder than conventional pasteurization and is mainly used in the fruit juice industry. It helps to maintain the quality of these products without the addition of preservatives. What is an aseptic process? – During production: all microorganisms are destroyed. The technique used in the case of the production of Aloe vera gel is flash pasteurization (see above). In addition, the transport to the bottling plants is carried out in optimal and aseptic conditions, that is to say in opaque tanks previously sterilized, in order to avoid any contamination. – When packing: all packaging materials are also sterilized. The tetrapaks are filled under vacuum. The bottling environment is also perfectly controlled. It is performed in a sterile room. pH is a chemical quantity. pH stands for Hydrogen potential. It measures the acidic or basic character of a solution, on a scale ranging from 1 to 14. A pH of 7 characterizes a neutral pH, whereas when a pH is less than 7 it is associated with an acid medium and above 7 to a basic medium. Each food or plant has a pH. The different constituents of the plant as well as its water content influence its pH. Citric acid is a molecule usually found in large quantities in lemon. Thanks to its acidic character, it makes it possible to decrease the pH of a solution. Does the new process affect texture? Is the appearance preserved? You will notice that the texture of the new gel is different from those in tin. The pieces of Aloe vera are smaller. The new pulp manufacturing process requires a standardized and optimized size of the particles in the liquid. For example, during the flash pasteurization, the rise in temperature as well as the cooling could not be homogeneous in case of presence of particles too big. If no preservatives are used, how is the pulp preserved? 3) the use of antioxidants. What are the characteristics of the new packaging? If we did not answer to all your questions, feel free to ask.